The following is a brief eight-step summary of the home-buying process in the Commonwealth of Massachusetts. Step 1: Assemble Your Team — Choose an exclusive buyer agent. Not all real estate agents are the same and not all real estate agents are 100 percent loyal to home buyers. Take the time to set up an in-person meeting to meet an experienced buyer agent. Your buyer agent can discuss loan programs, including first-time home buyer programs, and recommend a mortgage professional to obtain a free pre-approval letter from. 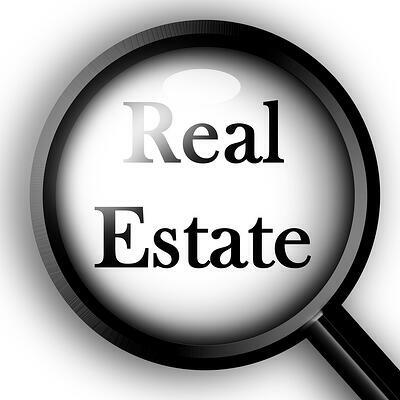 Your buyer agent also can recommend a real estate lawyer to review contracts and explain legal matters. Later in the process you might want a recommendation for a home inspector (see below) and an insurance agent. Step 2: Mortgage Loan Pre Approval — A mortgage professional will want some basic financial information about your income, debts and savings before providing a pre-approval letter. He or she will also run your credit score. At this stage, there isn't a need to shop around for the best loan terms because you haven't found a home and a lender isn't going to lock in an interest rate. You are not under any obligation to obtain your loan from the lender that provided a pre-approval letter, but you should allow that mortgage professional to compete for your business once you have found a home. Besides letting you know how much of a home you can afford, the pre-approval process is a good time to ask questions about what additional documentation you will need before you will obtain a loan commitment (see below). In addition, you'll need a pre-approval letter in order to make an offer on a home. Step 3: The Home Search — Any licensed real estate agent should be able to provide you access to the multiple listing service (MLS). The time it takes to find a home varies for homebuyers. Some find a home they want to make an offer on after seeing just a few houses and others may see 10-20 homes. Narrowing down where you want to live and the type of home you want will make for a more efficient home search. Step 4: Offer — Once you find a home you want to make an offer on, your buyer agent should perform a comparative market analysis, also referred to as a "CMA." When you have your initial meeting with a buyer agent ask how he or she puts together a CMA and what information will be provided to you, so you can make an educated decision about the market value of the home you want to buy. You should also discuss a negotiation strategy with your real estate agent. Just making an offer and waiting to see what happens is not an effective negotiation strategy. An initial offer should be made with your anticipated last offer in mind. Home buyers with a negotiation strategy increase their chances for a successful outcome. A written offer is submitted by your buyer agent to the listing agent, who works for the seller. Included with the offer will be a copy of the first deposit check, typically $1,000, and a copy of your pre-approval letter. Circumstances may vary, but it is customary to provide the seller with about 24 hours to respond to an offer. A written and signed offer is a binding contract. Step 5: Home Inspection — It is customary to have 10 days from the date of an accepted offer to complete the home inspection. A buyer agent can recommend a few experienced and thorough home inspectors for you to choose from, as well as provide you with a list of other items to check into during the home inspection period. Besides the general home inspection, you may want additional inspections or tests, such as a radon test. The buyer should attend the home inspection. Good home inspectors not only check the home for any potential issues, but also answer questions about and explain how to maintain your new home. Step 6: Purchase and Sale Agreement — The purchase and sale agreement (P&S) is a more detailed contract between the buyer and the seller. It is customary for the listing office to draft the "Standard Form Purchase and Sale Agreement," but a buyer should have his or her real estate lawyer review the P&S. A buyer's lawyer likely will add an addendum to the P&S that contains provisions that protect the interests of the buyer. The P&S also contains the date of the loan commitment (see below) deadline, which is the last day that a buyer can withdraw from buying the home without putting the deposits at risk due to an inability to obtain financing. It is customary in Massachusetts that the buyer make an additional deposit ($1,000 was made at the time of the offer) when the P&S is signed. Depending on the type of financing a buyer plans to obtain, the additional deposit may be the balance of 5 percent of the price of the home, but it may be less than that in some cases. The two deposits are held in escrow until the closing (see below) by the listing office. Step 7: Appraisal and Loan Commitment — The buyer's lender will order around the time the P&S is signed a real estate appraisal of the property to be purchased. Appraisers in Massachusetts are licensed. The purpose of the lender's appraisal is to make sure that a property's fair market value is equal to or greater than the buyer's purchase price. 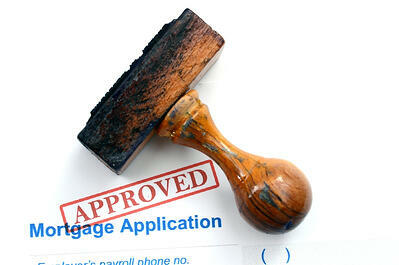 A commitment letter is a formal document that is issued by a lender to a loan applicant. The text of the commitment letter contains an offer to extend a loan to the applicant. Within the content of the letter, the specific terms and conditions (i.e., interest rate and length of loan) involved with the loan commitment are specified. The main purpose of the commitment letter is to inform the borrower that the loan has been approved, as long as certain outstanding conditions are met. It is important to understand what the outstanding conditions are in the commitment letter. The loan commitment deadline typically is about three weeks after the signing of the P&S. Step 8: Closing — Typically, a closing takes place between four and eight weeks from the time an offer is accepted. The closing usually takes place at the closing attorney's office or the Registry of Deeds in the county where the property is located. There are a number of legal documents that a buyer must sign at the closing, most importantly the note (promise to pay back the loan) and the mortgage, which gives the lender the statutory right to take possession of a home for failure to repay the note. Also, on the closing date, or the day before, the buyer should complete a final walk through to make sure nothing unexpected has happened to the property and all personal property not conveying with the sale has been removed. Contact Buyers Brokers Only, LLC if you would like to schedule a meeting with an exclusive buyer agent to discuss the steps in the home-buying process in more detail.